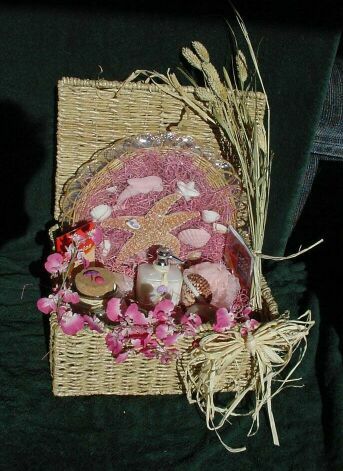 example of possible contents, and the price. 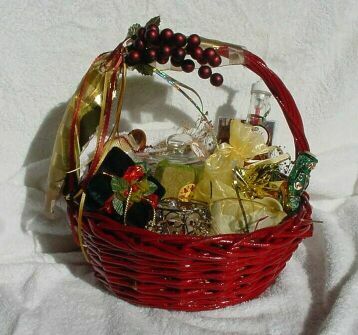 4 bars of soap. 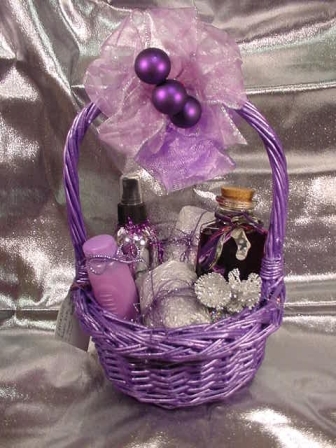 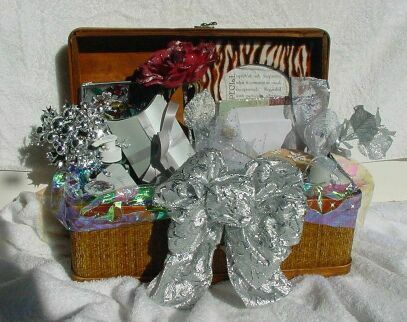 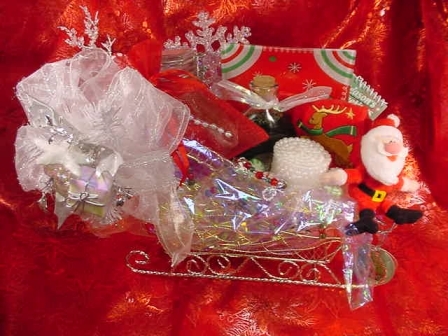 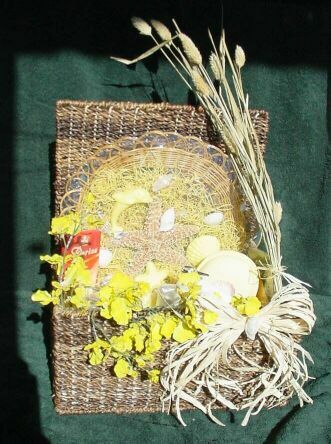 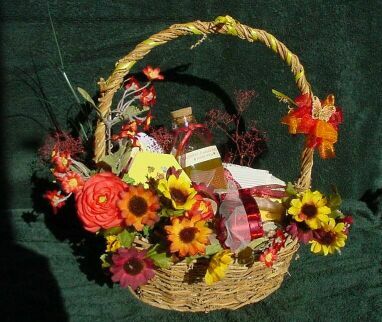 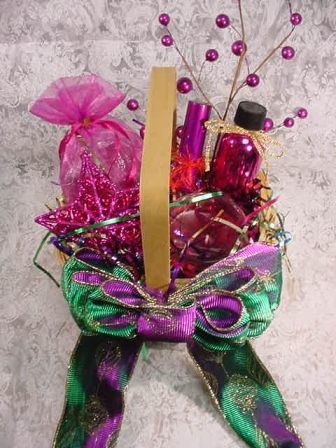 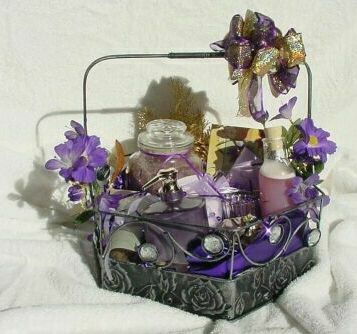 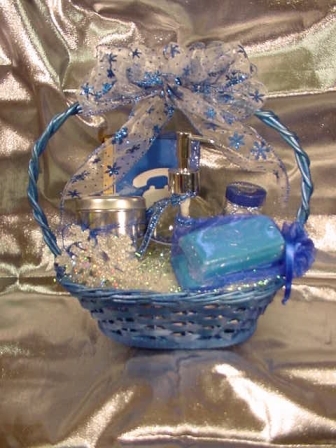 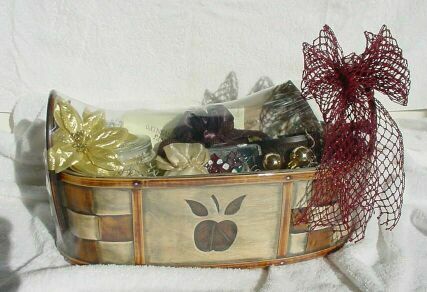 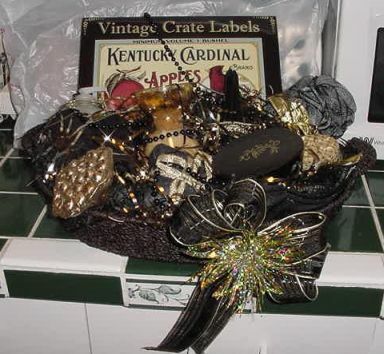 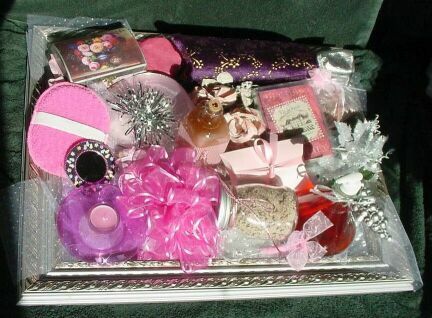 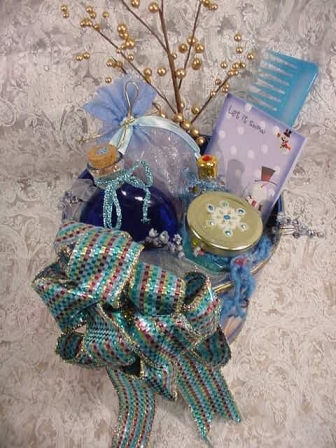 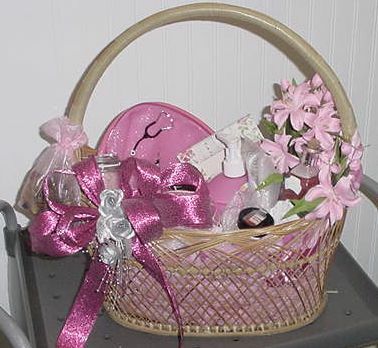 Price $55.00 including metal basket. 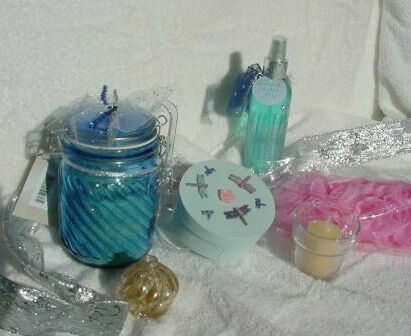 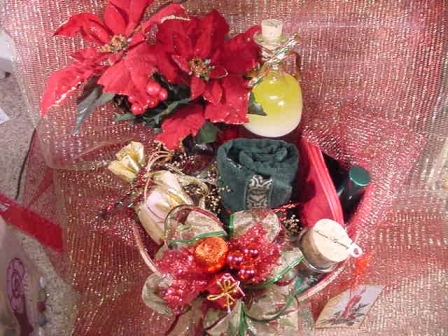 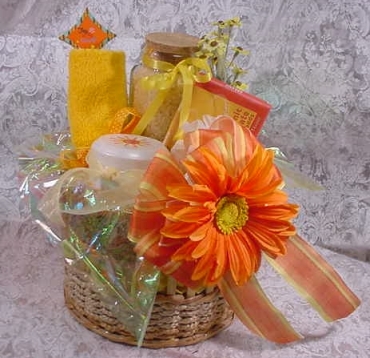 from soaps to bath oils, bath salts, colognes and many more.